Barcode labels make it much easier to sort and track items at every step of production and distribution – from assembly to sales. No matter what part of the process your company works in, Tri-State Business Systems can make it more efficient with a custom bar coding system created from our wide range of barcode products. In addition, our experienced staff has worked with companies including IBM, Merck, and Bristol-Meyers-Squibb, so you can trust us to meet any order no matter how many barcode labels you business cycle requires. In addition to barcode equipment and supplies, we offer professional, comprehensive assistance in finding the perfect barcode solution to meet your needs. 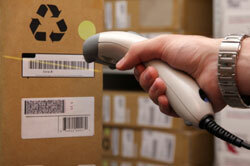 We inspect your facility to analyze your barcode needs, and let you test the products we design for your solution. This way you’re never stuck with barcode labels that will rapidly fade, smear or get damaged during normal use. We can even train your employees to properly use the equipment and supplies you purchase so they can use it correctly from day one and offer service contracts with round the clock support and response times measured in hours not days to ensures your business won’t be stuck waiting to print barcode labels in critical situations. 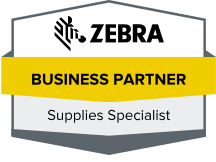 For more information on our thermal printer labels, Zebra labels, or other barcoding products and services available for businesses in Edison, Piscataway, Paramus, New Brunswick and anywhere nationwide, contact us today.